One of the first polymers ever created, cellulose nitrate is made by reacting cotton fibers with nitric acid. Celluloid was substituted for natural tortoise shell picks in the early 1900s and is still one of the most popular pick materials available today. 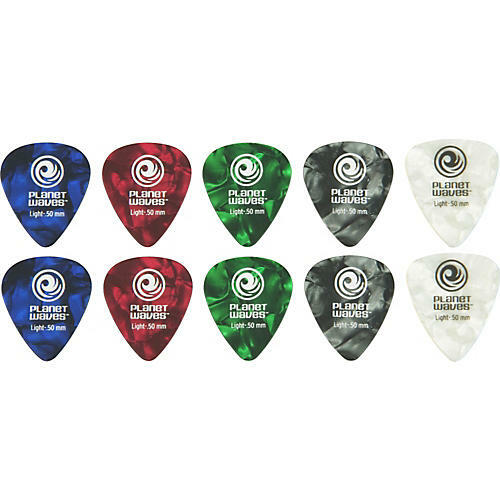 These picks provide a natural feel and warm, fat tone.